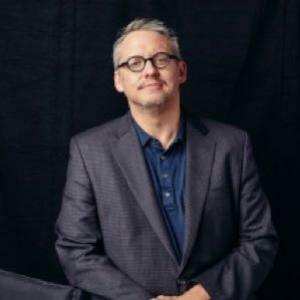 Adam McKay was born on the 17th April 1968, in Philadelphia, Pennsylvania, USA, and is a director, film producer, screenwriter as well as a comedian and an actor. He is widely known for his collaborations with Will Ferrell which include movies “Anchorman: The Legend of Ron Burgundy” (2004), “Step Brothers” (2008), “Anchorman 2: The Legend Continues” (2013) as well as for 2015 biographical drama “The Big Short”. Have you ever wondered how much wealth this multi-talented personality of the moviemaking industry has accumulated so far? How rich Adam McKay is? According to sources, it is estimated that the total of Adam McKay’s net worth, as of early 2017, exceeds the sum of $40 million, acquired largely through his producing career which has been active since 1986. Adam was born into the family of a waitress and a bass guitar player. He attended Great Valley High School after which he enrolled at Pennsylvania State University, later transferring to Temple University, but dropped out just a year later. Subsequently, Adam and several friends founded the comedy troupe Upright Citizens Brigade. He later joined Chicago’s The Second City, an improvisational comedy group for which he wrote and performed the “Piñata Full of Bees” play. These ventures provided the basis for Adam McKay’s current net worth, and introduced him to the world of comedy and moviemaking. In 1995, Adam was cast as a behind-the-camera crew member of “Saturday Night Live”, for which he provided screenplays and sketches. After leaving SNL in 2001, Adam teamed up with famous actor and comedian Will Ferrell and they wrote “Anchorman: The Legend of Ron Burgundy” which hit the theatres in 2004, becoming a huge commercial success, earning over $90 million at the box office. This successful collaboration continued as McKay directed “Talladega Nights: The Ballad of Ricky Bobby” (2006), “Step Brothers” (2008) and “The Other Guys” (2010) as well as the sequel in the Anchorman franchise – “Anchorman 2: The Legend Continues” which was released in 2013 and managed to beat the success of the first part, earning an impressive sum of $173.6 million at the box office. All these accomplishments have helped Adam McKay to dramatically increase his net worth. In 2013, Adam McKay directed the dark fantasy thriller “Hansel & Gretel: Witch Hunters” featuring Gemma Arterton and Jeremy Renner in the title roles. In 2015, for his work on the biographical drama about mid-2000s Wall Street financial crash – “The Big Short” with Christian Bale, Ryan Gosling and Steve Carell in the leading roles, Adam McKay was honored with several prestigious rewards including an Oscar, BAFTA and Writers Guild of America Awards, among over a dozen of others. All these accomplishments helped Adam McKay to further increase his net worth. Some other notable writing, directing and/or producing engagements of Adam McKay include, apart from all those already mentioned above, movies “The Dictator” (2012), “Get Hard” (2015), “Ant-Man” (2015), “The Brothers Grimsby” (2016) and “Toni Erdmann” (2016) as well as the TV series “The Spoils of Babylon” and “Drunk History” to name a few. When it comes to his personal life, Adam McKay has been married since 1999 to a actress and stage director, a sister of Jeremy Piven, Shira Piven with whom Adam has two children. It has been publically acknowledged that he is diagnosed with an essential tremor. 1 [observation, 2013 on Roger Ebert] How much we miss him. He wrote the worst review of anything I've ever done. And it was so great! We don't care. When you do comedy, you get impervious to good and bad reviews. It was 'Step Brothers' and he claimed it was 'the sign of the end of Western civilization'. 2 [on performing comedy] Well, you kind of start with the premise of 'it makes us laugh', and there's a bit of checking in with the crowd. Will [Ferrell] and I write our own sense of humor. We've been doing it for a long time so there is some adjustment going on that we're not conscious of. There's some awareness that there's an audience that is going to see it. You're not completely out there. You put it up and, much like horror -in horror and comedy - the audience really has to go with you. So we don't mind losing 'em for stretches. We don't mind throwing something at 'em that they outright don't like, but that you want them to be with some of the movie.. You pick your moments to go 'Screw the audience' and you pick up you moments where you need the audience. You're trying to do something that's still something that makes us laugh, for this part where we need the audience. That's the game of comedy. 3 [on 'Anchorman 2: The Legend Continues'] With sequels you often see these inflated test scores. I said, 'I don't ever want this movie to get over a 90'. I want 10% of the crowd NOT to like the movie'. You want the majority to be into it, but that was literally our mission. Let's not get too lovable with this. Let's make sure we sing a love song to a shark. We open our movie with a shark attack. It's not standard storytelling. 4 [paying homage to vintage comedies] Scattershot, ensemble comedy in which it's all different kinds of comedy - it's absurd, it's edgy, it's dry - that's my favorite kind of stuff. 'Airplane!' was the one for me. I was in sixth grade, and I remember going to see that movie seven times and just tears in my eyes I was laughing so hard. 'Boy Trapped in Refrigerator Eats Own Foot' - I've had conversations with numerous people who say that joke was a turning point in their life. 1 Directed 1 actor to an Oscar nomination: Christian Bale, who is nominated for Best Supporting Actor for The Big Short (2015). 2 Friend of Paul F. Tompkins and Jay Johnston. 3 With wife Shira Piven, has two daughters, Lili Rose McKay and Pearl McKay. 4 Was a student of Del Close's at the IO Theater. 5 As a college student he was a stand up comic and once had a guy throw a bottle at him while on stage. 6 His daughter, Pearl McKay, is featured in two short films with Will Ferrell - The Landlord (2007) and Good Cop, Baby Cop (2007). The films share the common theme of toddler Pearl ruthlessly bullying Ferrell. 7 He is an Alumni from the Famous Improv Olympic along with actors Vince Vaughn, the late Chris Farley, Ossie Beck, Tina Fey, Amy Poehler and Mike Myers. 8 On the Anchorman: The Legend of Ron Burgundy (2004) commentary, he pretended he was a producer of the movie named "Aaron Zimmerman". 9 Brother-in-law of Jeremy Piven. Son-in-law of Byrne Piven and Joyce Hiller Piven. 10 Although his work at Saturday Night Live (1975) was mainly as a writer and director, he made several appearances on the show, usually as an over-sized, obnoxious audience member who heckles the host or cast members until the stars verbally or physically attack him. McKay had auditioned for Saturday Night Live (1975) as an actor, while he was still with the Second City Improv but didn't make the cut as on camera talent. But, he had submitted four scripts to the show which had gotten him hired as a writer. 11 Throughout 2000 and 2001, McKay made several short films for Saturday Night Live (1975). Actors such as Steve Buscemi, Willem Dafoe, Jimmy Fallon, Will Ferrell, Patrick McCartney, Jerry Minor, Tracy Morgan, Chris Parnell, Andy Richter, Horatio Sanz, Molly Shannon and Ben Stiller have appeared in his SNL shorts. In 2004, McKay directed his first full feature film, Anchorman: The Legend of Ron Burgundy (2004), which he co-wrote with Will Ferrell. 12 An alumni of the Second City Improv Company in Chicago. 13 Was one of the founding members of the Upright Citizens Brigade comedy troupe. Earth to America 2005 TV Movie segment "writer"
2004 MTV Movie Awards 2004 TV Special segment "Anchorman"
Anchorman 2: The Legend Continues 2013 writer: "Whammy Chicken", "We Live Forever", "Doby", "Big Big World", "Gay for a Day", "Laundromat Love Song"
Machine Gun Preacher 2011 writer: "God Grants Wishes"
The Other Guys 2010 writer: "Ugly Sunday", "Let the Dragon Loose", "Lendl Global Jingle", "Pimps Don't Cry"
The Goods: Live Hard, Sell Hard 2009 writer: "Eagle Style", "It Ain't Easy", "Selleck Motors Jingle", "Let's Make a Baby", "McDermott's Angels", "The Goods"
Step Brothers 2008 writer: "Captain Benevent & His Ragtag Crew", "Boats 'n Hoes", "Family Bible", "Back and Forth"
Bewitched 2005 writer: "Promised Land"